I painted my desk again. 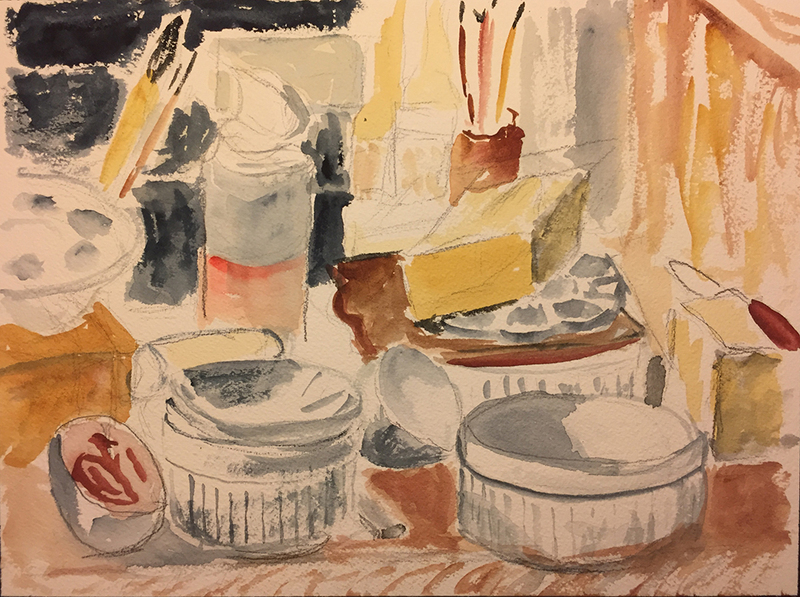 Rather, I re-painted a picture of the array of brushes, paint dishes, plastic and ceramic palettes and boxes on my desk, that I painted yesterday. Today’s design is more simple. I outlined the shapes of the ceramic bowls, boxes and other containers. I haven’t broken up the space in any way, so I wouldn’t classify the style as cubistic. I did not work from life, but from yesterday’s composition. 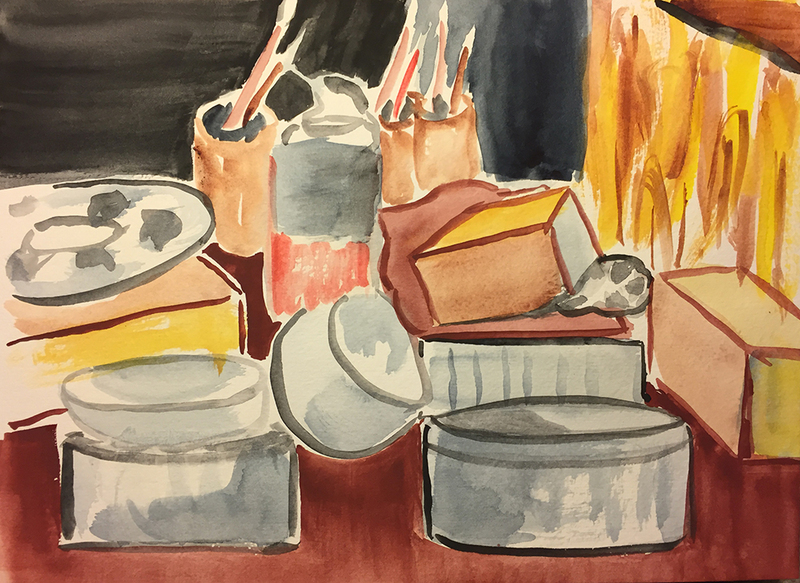 This entry was posted in Personal Stories and tagged abstract art, abstract expressionism, art, artistic process, creative process, creativity, cubism, simplification, visual arts, watercolor. Bookmark the permalink.